This was often the way with traditional craftsmen. But as the world has moved on, giving customers greater service and reliability, they have stayed stock still. Tailoring, suits and bespoke have never been more fashionable. This season the men’s shows saw models coming down the runway in double-breasted suits, ties and pocket handkerchiefs. How long is it since that happened? Suddenly everyone is talking about waistcoats, or bow ties. We are at the apex of the trend. Matters sartorial have been quietly growing in popularity for four or five years (something that has probably contributed to the success of this blog – it can’t be the quality of the writing). But from the apex the only way is down. Once the high street has caught on, and your friends are buying more suits, the trend is dying. In three years it will all be tracksuits and sportswear. Some tailors have grabbed this opportunity with both hands. They have invested in their businesses, introduced modern management and become spokesmen for the industry. I would place Anderson & Sheppard and Norton & Sons in this category. Others have reacted to the increase in business by taking longer to make things. They’ve always had two tailors; they still have two tailors. If orders double, they just take a year to make rather than six months. They haven’t hired any more staff. Perhaps more importantly, they haven’t hired any younger staff. My friend is not alone in his frustration. I have heard similar stories about shirtmakers and some tailors – all of them old, all of them traditional. Those are the businesses that won’t be around when young men are wearing tracksuits again. The tailors that will survive are the ones investing now. You can follow the discussion on The tailors that will survive by entering your email address in the box below. You will then receive an email every time a new comment is added. These will also contain a link to a page where you can stop the alerts, and remove all of your related data from the site. I am a big supporter of artisans. I show them as much patience as I can. I am polite. I pay in cash-sometimes in advance. I respect their work as I respect my own. I suffer clients who don’t pay me as respectfully as I can, but I make sure to pay all my personal contracts. It is a pity that some are so obstinate. You are correct. This is the moment their craft is the most respected and requested. Just yesterday, I passed by a tailor of mine. Six months and I’ve almost given up hope. But I offered them coffee and an aperetivo. Let’s hope they get around to finishing the damn suit. They work their asses off but I think a touch of customer service would help all craftsmen in general. The historical reality of a client and his tailor is a difficult and intimate relationship that is often similar to that of a mistress…when she delivers it’s so satisfying, but you really have to put up with a lot. I have one word: Tailorstore.com. I am a new German Tailor in Houston. I still have 40 years of tailoring in front of me. I am the one who has invested and able to invest more if customer come in. very interesting to read this, thanks. It has been precisely my experience when ordering bespoke in London. 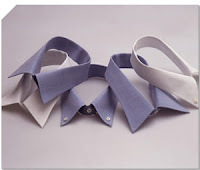 I have tried three of the well known Jermyn Street shirt makers for bespoke shirts. Not a single shirt was delivered on time and often details of the ordered shirts were wrong, further delaying the process. The fitting process was usually highly inefficient as well. At prices above £200 per shirt this is unacceptable in my view. W.W. Chan in Hong Kong made me a shirt in 48 hours with the first shirt ready for fitting in 24; and for a fraction of the price (using similar fabric). I am also not sure staffing and heavy workloads can fully explain this for shirts (suits are probably different). I understood that at least some of the firms outsource the actual production and it is not clear to me why there would not be enough capacity. My conclusion was that these firms no longer value bespoke customers, perhaps because of the increasing importance of online sales (which will only be affected in the longer run by low quality bespoke services). Although I genuinely admire the tradition I have now given up on buying shirts here. Given this experience I will also avoid Savile Row.